Aquaseal is an industrial strength adhesive and sealant designed to quickly and easily repair any tears or holes in your outdoor gear. It dries fast and clear, creating a permanent, waterproof seal that is unaffected by extreme heat or cold. 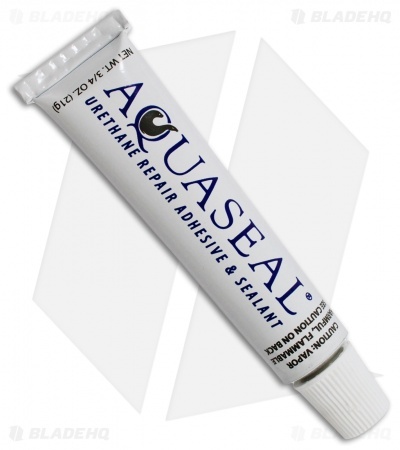 Aquaseal Repair Adhesive is a must have for your outdoor or survival gear.